Join us through the month of November for our Simplify The Season Holiday Blog Party! Just A Simple Home will be featuring 30 bloggers who will inspire and encourage you to slow down and savor this holiday season. 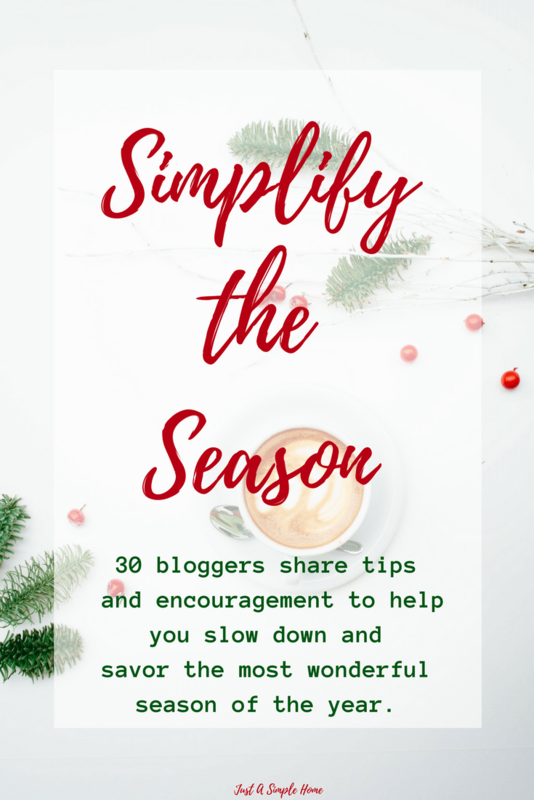 You will get tips and tricks you can implement for the season, along with simple recipes and crafts for your family, home decorating ideas, free printables, Christmas devotionals and so much more! Be sure to come back and visit each day through the month so you don’t miss any post in the series!